Lawsons is one of the biggest timber and builders’ merchants in the South East. 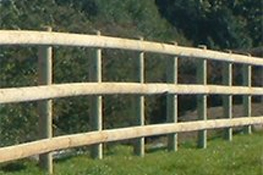 We offer a huge range of fencing, fence panels, fence posts, and accessories. Our size lets us stock timber fencing in much larger volumes than smaller suppliers, meaning that you benefit from our range of fencing and timber products. While Lawsons is known for timber, we also offer chainlink fencing, stock fencing, contractor fencing, and some of the more unusual timber fence types such as Chesnut and post and rail fencing. Take a look at our range online or visit us at your local branch to find out more. Whether you’d like to protect the boundaries of your home, keep pets safe, or just create more of a secluded feel in your outdoor space, Lawsons’ range of panels, closeboard fencing, and specialist fencing types will help you do just that. While Lawsons is known for timber, we also offer chainlink fencing, stock fencing, contractor fencing, and some of the more unusual timber fence types such as Chesnut and post and rail fencing. Take a look at our range online or visit us at your local branch to find out more. Our stock of fence panels include lap panels, closeboard panels, open pale/ picket fences, trellis panels and decorative fence panels. 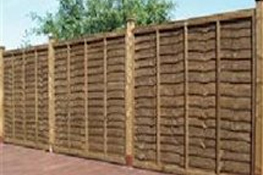 Whether your tastes are a bit exotic or consistently conventional, we have high quality timber fence panels that will compliment your garden while providing you with the privacy and security you require. We stock a wide range of other types of fencing which include Cleft Chestnut Pale, Birds Mouth or Knee Rail, Chainlink, Security Palisade, Plastic Barrier Fencing with Pigtail Stakes, Stock Fencing for animal containment and of course Barbed Wire for extra security. A full range of posts and fittings is also available for all types. 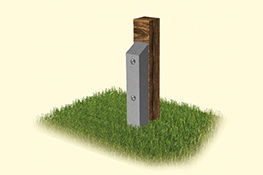 We supply a range of timber posts, concrete slotted posts, and round fence posts. 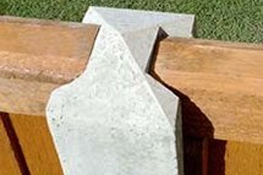 Our Mortice posts have clear, definitive mortices or recesses which improve appearance and the ease of installation. Both are used with featheredge boards, arris rails, and gravel boards. We offer a variety of gates, ranging from simple to ornate designs that will compliment your garden landscape. Whether you are interested in arched or horizontal models, you know that the quality and detail of these gates will exceed your expectations. 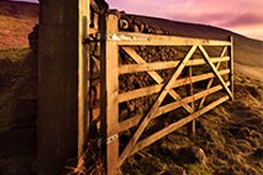 Each timber gate is treated for longevity and durability. Fence repair spurs are used to repair broken timber posts providing a cheaper alternative to replacing a whole fence post. Lawsons offer both concrete and metal fence repair spur solutions in 75x75mm and 100x100mm. 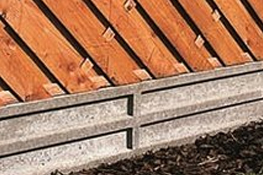 Closeboard fencing is made up of gravel boards, fence posts, arris rails, and featheredge. To complete the closeboard fencing system, the posts, arris rails and gravel boards are installed first. The featheredge is then nailed into the arris rails with each board overlapping for a continuous screen of privacy. 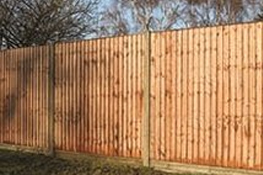 Choose from a variety of our closeboard fencing products for your ideal fencing system. Lawsons prides itself on stocking the best fencing accessories available. 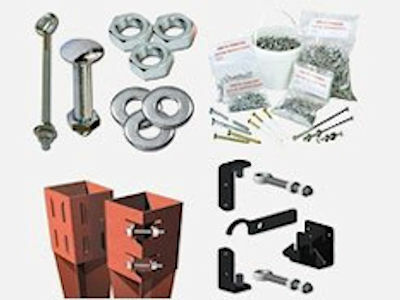 These include Metposts, nails & staples, clips & cleats, hinges & latches, nuts, bolts, and washers. We also stock fencing tools such as post rammers, spirit levels, shovels, mallets, claw hammers, and much more.